This guide is available to download as a free PDF. 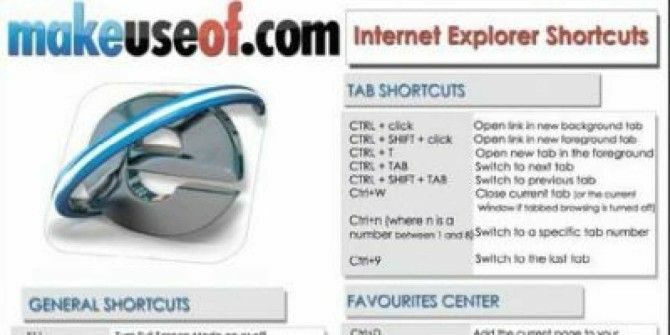 Download Internet Explorer Shortcuts now. Feel free to copy and share this with your friends and family. Browse web faster on Internet Eplorer by mastering its keyboard shortcuts. You may use these shortcuts to navigate and manage tabs, search for specific text within the page, preview pages before you print them, work with favorites, and lots more. Explore more about: Cheat Sheet, Internet Explorer, Keyboard.